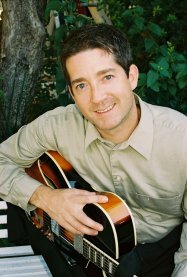 Looking for The Garners Music – Lorelei and Jon? Head over to the site by clicking Here. As, always, this site is a work in progress. Great news, though, my first book is finished and now available. 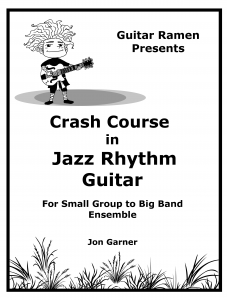 It’s called Crash Course in Jazz Rhythm Guitar: For Small Group to Big Band Ensemble. Now, if you looking to hire me, just shoot me an email. If you’d like to hire the American Gypsy Swing group with Lorelei, well, shoot me an email, too. Been teaching online via skyp (or Google Hangouts, actually), locally, and up at Palomar College. Spreading the beauty of playing jazz music and/or guitar. Check the calendar to come see a show. Lots of gigs coming up. Solo, Duo and full band. Strives and all kinds of gigs that come up out of nowhere! Get on the mailing list and the calendar will be mailed to you. That’s it. Easy peasy. Guitar geeks, (a badge I proudly wear), Contact me if you’re seeking Skype lessons. My home studio lessons are pretty full, but I’m looking to develop my online studio. Contact me if interested.